For children with disabilities, the care of a family can mean the difference between life and death. In Rwanda, families can struggle to know how to support children with special needs in the midst of a culture that stigmatizes disabled children. The challenge can become so daunting that parents sometimes abandon disabled children. The local church in Rwanda is stepping into the gap, affirming God’s love for every child and providing practical support to families caring for children with special needs. As part of the Orphan Care Initiative’s strategy to help all children remain in family, reunite with family, or regain family through adoption, children with disabilities living in orphanages who were once considered “unadoptable” have found permeant, legal, lasting families who are making amazing sacrifices to give them the care they need. 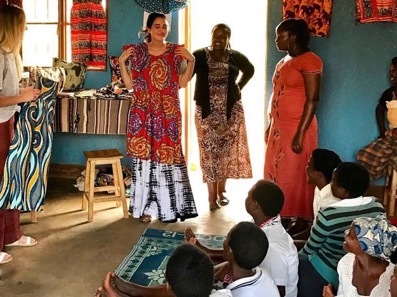 One Presbyterian church in Rwanda has begun a school for special needs children, which not only supports the children but has become a place for struggling parents to come together. Saddleback Orphan Care PEACE teams have come alongside these parents, encouraging them to start a support group to share their unique struggles in a safe space in the church, and providing them with skills to parent their children from hard places. Through Rwanda Orphan Sponsorship, as of this Spring, two of the families who adopted their children from the orphanage are receiving monetary support from their local church, in addition to three of the families who had been struggling to carry on. Parents in the support group share that they have never before been able to talk to anyone about the challenges they face caring for their children. Being in community in the church with other families walking the same journey has lifted their burden and has helped them know that God sees them and cares about their family. Thanks to the generosity of Sponsors, these families can now devote more attention to the care of their children and are being cared for by their local church family. Where they and their children once experienced isolation, they now have a community that can come alongside them in the tough times with practical help and shared experience. If you would like to support a family in Rwanda through Sponsorship, visit www.saddleback.com/sponsorship or email orphans@saddleback.com for more info. Getting to Zero: Is Closing Orphanages the End Goal? The country of Rwanda is approaching its goal of closing all orphanages throughout the country as children are being placed in families out of the orphanage or reunited with their families. Despite this progress, in some orphanages children remain waiting to receive a family – either because finding a willing family is a challenge or often times, there are orphans ages 18 and older who grew up in the orphanage, never learned life skills to survive on their own, and therefore feel unable to leave the orphanage setting. What does all this mean for the work of “Getting to Zero”? Even when orphanages have closed, the task of caring for vulnerable and orphaned children is far from done. The work of the Orphan Care Initiative goes far beyond simply “closing orphanages.” The tools and training we provide through the work of the local churches in Rwanda is developing a child welfare system for a country that will ensure that no children grow up outside of family care. If you take the case of the United States, we have no orphanages – in their place we have a system for identifying vulnerable and parentless children, sourcing families to foster and adopt them, and training and monitoring those families so that they are successful. If you look at Rwanda through that view, the work has only begun. 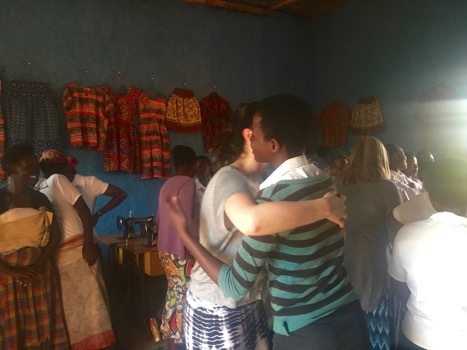 There is now a stellar example in Western Rwanda – where the Orphan Care Initiative has focused our efforts at the request of the government – of what it looks like to reintegrate children into families well with the wrap around support of the church. However, much of the rest of the nation returned children to families without the wrap-around support of the churches, which is so critical to the long-term success of an orphanage-free child welfare system. 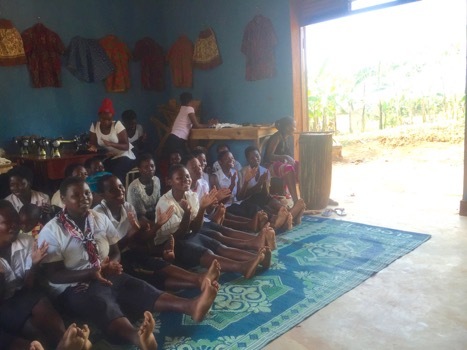 Our most recent Orphan Care PEACE trip saw this firsthand as they conducted trainings in Kimonyi, an example of an area where the orphanage recently closed but families had never received any information on how to address the trauma their children have experienced in the institution. When the government realized these families were struggling, they specifically asked for the Orphan Care Initiative to intervene with training and support. 1) The value and need for adoption in a culture coming out of dependence on orphanages. 2) Teaching churches how to deliver the evidence-based adoptive parent training that allows families to help heal hurts of children who have come from the orphanage and other hard places. 3) The truth that EVERYONE in the church is called to care for the orphan, and the church can help members get on mission in this area in a variety of ways. The Rwanda Orphan Sponsorship is a piece of this support system designed to help children remain in, reunite with or regain family through adoption. Families brought into the sponsorship program receive support to help care for their child in the form of a monthly amount from their local church. As part of sponsorship, parents become part of a savings group to learn how to grow and manage their money, and they receive lay social work support from the church and agree to attend parenting training. In return, the families agree to use the funds to pay their child’s school fees, enroll them in medical insurance and tithe back to their local church. Because these funds go directly to the family from their local church, many families receiving sponsorship don’t know there is a Western donor on the other end, they just see it as their local church coming alongside to support them. If you would like to help families who are adopting children out of orphanages through the Rwanda Orphan Sponsorship, please visit saddleback.com/sponsorship for more information on how your giving can help in Getting to Zero. 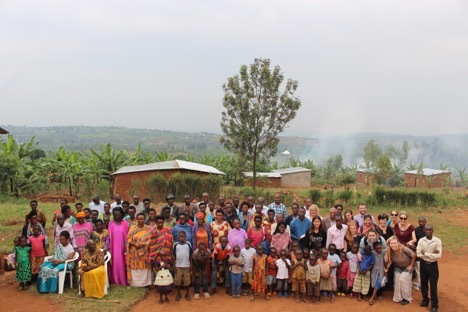 Getting to Zero Goal Accomplished: Zero Orphanages in Karongi District! 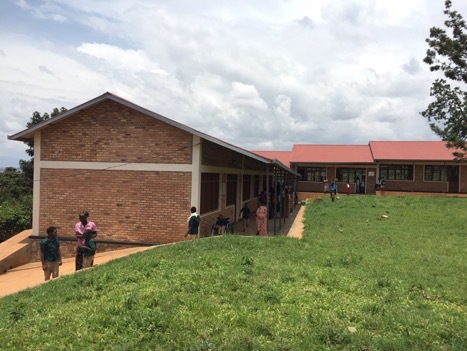 The Karongi District of Western Rwanda is where the Orphan Care Initiative began the charge with local churches to get children out of orphanages and into loving, lasting families 3 years ago. In a country that did not have a word for “adoption” when deinstitutionalization began, so many families have stepped up to open their hearts and homes to children that there was no longer any need for the orphanages in their region. All three of the region’s orphanages, which were once home to hundreds of children, are now emptied – the abandoned dormitories now testaments to God’s amazing work in Rwanda through his church and the generosity of sponsorship donors like you! The success is so profound that the Rwandan government has now asked the Orphan Care Initiative to play a larger leading role in 3 other regions of the country. This year, PEACE teams were mobilized to vision cast God’s heart for the orphan to local churches in these new areas, providing them with the training they need to reunite families and raise up families for adoption. The churches of Karongi are now a shining example to the rest of the nation, teaching their brothers and sisters what it looks like to offer radical love through adoption. Life in an orphanage leaves a legacy of trauma in the life of a child – emotional pain and learned behaviors that can only be healed in the arms of a permanent family. The adoptive families in Rwandan local churches are trained in the best practices of parenting children coming out of trauma – a set of unique transformative tools called Trust Based Relational Interventions (TBRI®), developed and tested at Texas Christian University’s Institute of Child Development. Through a train the trainer model, local churches are equipped to not only empower families, but also empower skilled lay social workers to come alongside families as they bring home a child from the orphanage. This year, 79 members on 9 PEACE trips delivered this training in Rwanda. The Orphan Care Initiative’s work in this field was recently recognized as Initiative founder Elizabeth Styffe was awarded the TCU Green Honors Chair for 2017. Thank you to those of you who gave so generously to Rwanda Sponsorship in 2016. 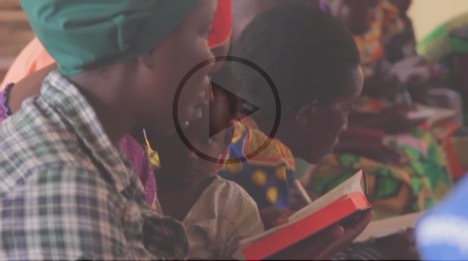 To set up monthly giving for the new year, visit saddleback.com/sponsorship. Let’s help another region get to zero in 2017! Losing one parent is one too many. For Josiah, losing his mom to HIV/AIDS in 2014 almost prevented him from remaining in his family. Josiah was only 3 years old. He and his 3 brothers and sister were living with their sickly father named Emmanuel. A carpenter by profession, Emmanuel did casual construction jobs to get by. However, after losing his wife, Emmanuel's health began to decline and his body weakened. He was unable to provide for his family. Emmanuel's mother and oldest daughter took on the responsibility of caring for the young family- three of whom were still in elementary school. This sad reality has provided a powerful opportunity for the local church to bring hope and support. Emmanuel attends a local Anglican church in their community where his late wife also attended. The church reached out to little Josiah, his Dad Emmanuel and the rest of the family. The church explained that while he was recovering from ill health, the church could help. They could see that the family was vulnerable not only to disease, but to being separated out of desperation and poverty. An orphanage would have been one fo the few options if Josiah's family did not have the support of the local church. Through Rwanda Sponsorship, the local church has wholistically come alongside Josiah's family. They are being supported by their church community and are frequently visited by the members in their church family. Through God's mercy, Emmanuel is now recovering and his family has remained together - largely in response to the relationship they've developed with their local church. The Church is the hope of the world and the hope for every orphan and vulnerable child. Ending the orphan crisis is not just about getting children out of orphanages - it's also about helping keep children out of orphanages in the first place by helping vulnerable children remain in families. By giving through the local church, sponsorship enables the entire church to come alongside families like Josiah's, serving them in every facet of life. Because of Sponsorship, care and support reached these siblings before they became orphans, and the family is able to grow together! If you are interested in impacting the life of a child through sponsorship, you can become a Rwanda sponsor at www.saddleback.com/sponsorship today! Connect with us at orphans@saddleback.com to learn about the ways you can help end the orphan crisis and prevent children from becoming orphaned.